Wanna know how impressed we were with Beauty and the Beast on Blu-ray? Well, there are still plenty of folks out there who doubt that there is any real discernible difference between a Blu-ray disc and a DVD as far as looks are concerned, but we'd bet if you sat them down in front of this classic, they'd be sold immediately. 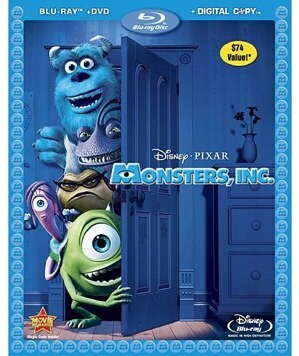 Monsters, Inc. is the fourth feature-length film put out by Pixar, and in our opinion, it’s the one that pretty much put a stamp on the company’s reputation for their superior work in combining great storytelling, well-thought out characters, and mind-blowing technology. Monsters, Inc. hit theaters in 2001, which happens to be the same year that Shrek made his big screen debut, but Monsters ended up grossing more in the end. Part of the allure was the way Pixar pioneered the CG-animation to a whole new level of realism. The textures of the skin, scales, and especially fur on the animals was something not yet seen, and any viewer was impressed. Now that the movie is available on Blu-ray, we get to enjoy those details all over again. Of course, our Monsters, Inc. Blu-ray review will be focused on much more than just the visuals, but we have to say, it’s hard not to notice. wanna know if Monsters, Inc. on Blu-ray is worth it? Read on. This week, Pixar released their latest film, Up, on DVD and Blu-ray, and we’ve been going through all the content on the Blu-ray release over the past couple of weeks. We know that the movie did extremely well at the box office, and reviews for the actual movie were great - but how does the home release of Up hold, er, up? Hit that read link, and we’ll let you know our thoughts on one of the biggest home releases of the holiday season. 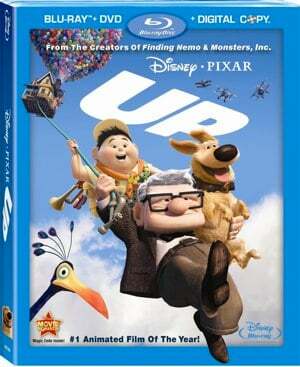 As is typical with our Blu-ray and DVD reviews, we won’t actually be reviewing the movie itself in full, but we will say this: Up is another Pixar release that combines family fun and entertainment with some highly emotional storytelling, with a perfect balance. The movie easily beats a lot of the cruft that you see other Hollywood studios pumping out on a regular basis. You’ve got lovable characters in Carl Fredrickson, Russell, and Dug, with dialogue that’s funny for kids, with some lines specifically aimed at adults. The movie even features miscarriage and death, but with subtlety, so the kids don’t get confused. It’s definitely worth seeing. Not many people realize this, but Snow White and the Seven Dwarfs is Disney‘s very first full-length animated motion picture. Some would say it is the most prized possession inside the Disney Vault, since one could argue that this movie not only pushed the still-young Disney studio well on its way to being the global powerhouse that it is today, but it also expanded and legitimized the art of animation. Snow White and the Seven Dwarfs is the first movie to be released as part of the Disney Platinum Series, which has been around for a while now. 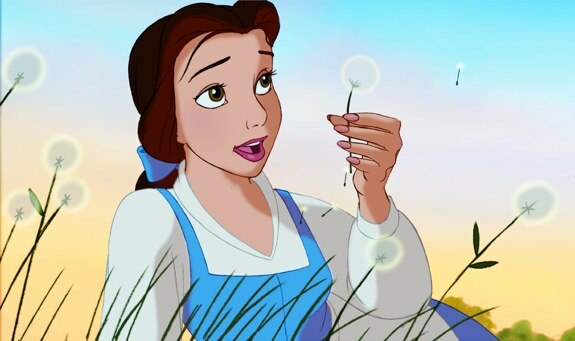 However, when it came time to get the Blu-ray treatment, Sleeping Beauty and Pinocchio were both released before Snow White, as Disney wanted to get this one just right. The result? 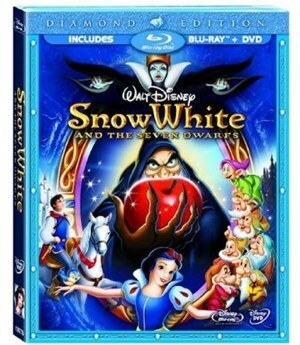 The Snow White and the Seven Dwarfs Diamond Edition Blu-ray set. Is it worthy of the title? Journey with us as we dig deep into the Snow White Diamond Edition and find out. Veronica Santiago and Neil Estep are back with more FilmCrunch video goodness, this time focusing on the theatrical releases of Rescue Dawn and the DVD release of The Astronaut Farmer. Veronica also checks in with her review of Harry Potter and the Order of the Phoenix. This episode kicks off with Veronica and Neil naming what they chose as their most inspirational movies. As I was putting the DVD of Away from Her back in its case, I noticed this line on the cover: Sometimes you have to let go of something you can’t live without. Of all the vague, cheesy and misleading taglines on most movie posters today…I couldn’t have chosen something more apt for this film. The next best thing would have been: If you loved that weeper ‘The Notebook’, this movie will rip your heart out. Away is the feature-length directorial debut from actress Sarah Polley, who’s probably best known by younger audiences as Ronna from Go. 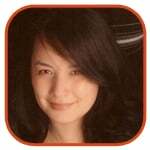 She is also credited with adapting the screenplay from a short story by Alice Munro (‘The Bear Came Over the Mountain’). Atom Egoyan, Polley’s director in her breakthrough film The Sweet Hereafter, served as the movie’s executive producer. The film stars the beautiful Julie Christie (Fiona) and Gordon Pinsent (Grant) as a couple still madly in love after 45 years of marriage. Their peaceful existence in their cozy cabin is eventually interrupted by a series of signs. Signs they tried to do their best to ignore. Unfortunately, it comes to a point where Fiona’s memory lapses prove too worrisome to simply brush off. Veronica Santiago and Neil Estep take a look at Blades of Glory in this episode of FilmCrunch. When the macho, swaggering Chazz Michael Michaels takes to the rink, he is the rock star of the arena, leaving a trail of thrashed ice and shrieking female fans in his wake. The only competitor who can match Michaels’ scores is the driven former child prodigy, Jimmy MacElroy. 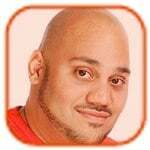 Spotted as a youth executing triple lutzes on the frozen pond of an orphanage, MacElroy was whisked away to days of endless training, and now stands as the picture of poise, the personification of the highest ideals of the men’s sport. Michaels and MacElroy have met in finals rounds before, but their latest head-to-head at the World Championships—when they tie for first—is more than either one can bear, and their longstanding rivalry erupts into a no-holds-barred fight. The ensuing brawl not only sets fire to the World Championship’s helpless mascot, but lands both athletes in hot water: Chazz and Jimmy are called before the sport’s governing board, stripped of their gold medals and banned from the sport for life. Now, three-and-a-half years later, both men are still trying to find their way in a world without competitive skating. To skate again, all Chazz and Jimmy have to do is set aside their long festering hatred of one another and join forces—as the first male/male figure skating pair to compete in the history of the sport. Every once in a while you are fortunate enough to watch a movie that really shakes you to your core. Afterwards, you feel compelled to grab any and everyone you see to tell them about it. I had that experience just last week—and since then, my friends have had to bear the brunt of my enthusiasm. Earlier this year, I caught a Nightline piece about the film, God Grew Tired of Us. This documentary about the ‘Lost Boys of Sudan’ was having it’s Los Angeles premiere. But the road to completion required a lot of celebrity assistance along the way. Actor Dermot Mulroney sought Brad Pitt‘s help when his director friend (Christopher Quinn) was running low on funds. Pitt provided financial assistance and took on an executive producer role. Nicole Kidman also contributed as narrator after being asked by actress Catherine Keener.